Someone on Facebook put me onto this, following a poster I borrowed that said ‘A ship is safe in harbour, but that’s not what ships are for’. 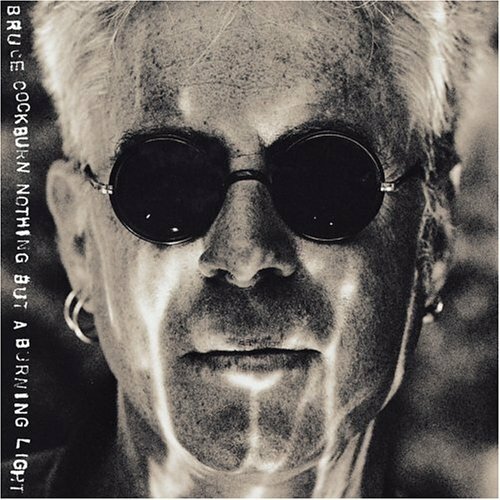 I have a couple of Bruce Cockburn albums. I had heard him namechecked by one or two artists that I respect, so following a push from another friend I began to listen to him. I like what I hear: songs that have the ring of authenticity, someone who is musically brilliant and someone who has been willing to go his own way. This is an early recording: if I am pushed I prefer him now- his voice is more ‘lived in’. I looked up the chords and had a go at playing it but could not manage it, but now the guitar virtuoso who who put me on to it has promised to do me a duffer’s guide to this song. Can’t wait…. You know the score for holidays: what shall I take, what shall I leave? What shall I read? Anything too esoteric and my family won’t have it played. Anything too safe and I get bored. So this year, it is the familiar but still interesting (step forward the Beautiful South and Martyn Joseph), some home made selections, some esoterica and something to explore….although sadly the new Arcade Fire won’t be with me until I get home. I don’t generally do ‘Christian Music’. However I ‘do’ music played by Christians who cut it out there in the market place. Bruce Cockburn. Someone I have heard namechecked by many people and have always meant to check out but never had done. That is until last weekend. Someone was selling CDs for charidee. It would be a sin not to support charidee so I did. A little bit 90s in sound (although with T Bone Burnett twiddling the dials, the worst excesses of that decade are avoided) but very good. The kind of guitar playing that makes me want to burn mine and never play again. The kind of lyrics that make me never want to attempt to write songs (I’ve started by the way. That is as bad as it sounds. I can only play them in front of myself with embarrassment). Just good, well written songs with a heart. I steer away from ‘Christian music’ very fast. I can listen to and like good musicians who are Christians but don’t sing songs like ‘Well there may be pain, but ignore it ‘cos God is great and he’s my mate’.